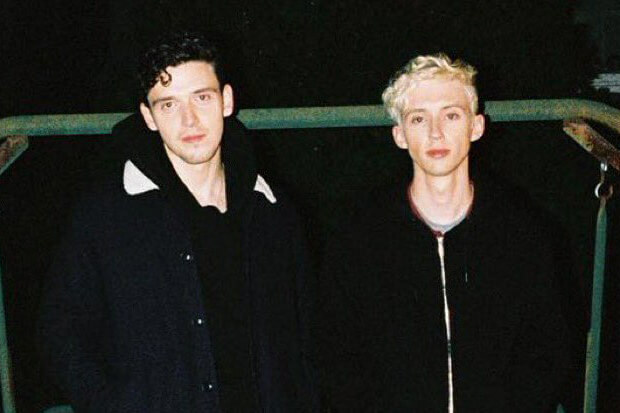 Troye Sivan & Lauv Announce Their New Single "I'm So Tired..."
How perfectly random! Yesterday Troye Sivan and Lauv announced that they teamed up to compile a playlist of their favorite sleep songs. “Just check out that playlist if you want to fall asleep randomly,” the “There’s No Way” crooner urged his fans. And what a playlist it is. Comprised of mellow anthems from the likes of Lorde, Sade and Ella Fitzgerald, it’s bound to put you in the mood for sweet dreams. But that’s not all. After teasing us with their excellent curation skills, the hitmakers hopped online today (January 16) to reveal even more news. They also recorded a song together! Called “I’m So Tired…”, it drops January 24. We don’t know much about the track just yet. However, it sounds like something big is on the way. “Guys not to be dramatic but this song legit is like an instant slapper,” Troye promised in one tweet. In another he teased that this may be both artists’ breakout moment. “Let us Infiltrate the general public. Together.” It appears that frequent collaborator Leland is also in the mix. Sharing one of the Bloom star’s tweets, he let us know how excited he was about the release. Meanwhile, some fans think Lauv offered the first hint of potential lyrics – “i love rainy mornings in LA & miles davis.” We’ll have to wait if they’re right. Hopefully we get a couple more hints of what is on the way in the coming days. In the meanwhile, check out some of their announcement messages below and visit the playlist here!